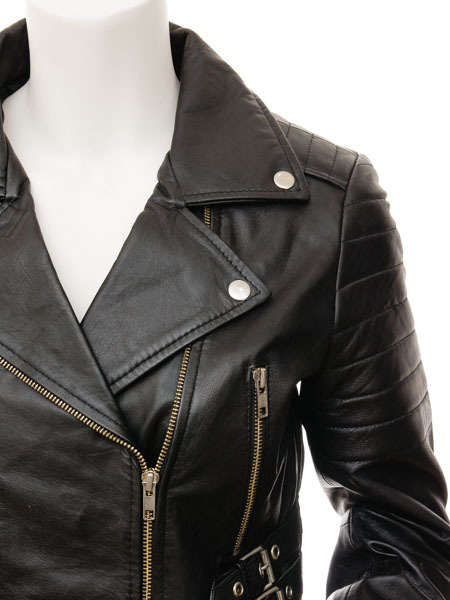 An ultra-cropped black leather biker jacket. This style is so well known but we've added a fun twist by shortening the body. 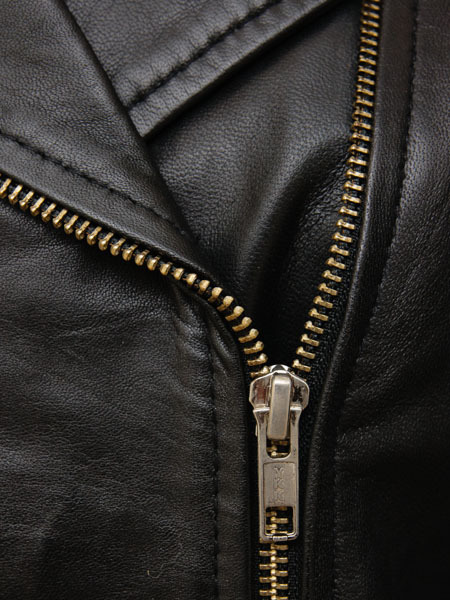 The jacket carries all of the features of her big sister, hi-grade sheep nappa leather for softness and an angled YKK zip over a double breasted front. Press studs hold the wide notched lapels in place while two zipped pockets at the waist provide ample storage. The shoulder and upper arms are quilt stitched and the cuffs are adjustable zipped gauntlets.